Co-ordinated by the UK Council on Deafness, Deaf Awareness Week 2015 is in full swing. This year’s theme is ‘Connect and Communicate’ to raise awareness to the importance of establishing meaningful connections and engaging in effective communication with those experiencing hearing loss. Deaf Awareness Week is all about ‘promoting the positive aspects of deafness’, to ‘promote social inclusion’ and raise awareness to all the organizations that support the week. Many living with hearing loss do not know what’s available to them. But communicating this will encourage a better understanding of the types of communication best implemented, how effective it is and how great the need is for people to find out what’s available. Do you know that 15% of the population is deaf to some extent? Out of every 10,000 people, ten will be extremely deaf and 100 will be partially deaf. 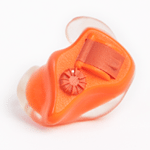 Taking measures such as wearing ear protection when your situation calls for it, such as when you’re at the shooting range or hunting, will help you avoid hearing loss. The ‘Connect and Communicate’ theme is incorporated with information days, exhibitions, talks and captioned theatrical performances. The week is supported by more than one hundred charities and organizations – and now all they need is your support. The foundation for Deaf Awareness Week 2015 is about helping deaf people. By taking part you will be participating in all the small changes you need to make. To stay updated with everything that’s going on this year keep checking back on the Deaf Awareness Week website. And, if you’re thinking of planning your own event, you find lots of great ideas.